Is the corporation’s pay level for executives “reasonable” and reflective of “going market rates” for similar work and qualifications? What is the value of lost wages and benefits due to discrimination (i.e. front and back pay)? What is the value of lost wages and benefits due to personal injury or death? Was a personnel practice in keeping with the company’s policy or generally accepted industry practice? What were the employment opportunities for the plaintiff following termination? 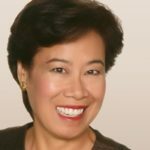 Ms. Ding’s credentials include over 30 years as a consultant working with many of the largest industrial, service, and financial institutions in the United States. She has testified as an expert witness in employment litigation cases since 1989. She has taught in personnel management certificate programs and a masters of human resources program at the University of California, Cal State Long Beach, Cal State Pomona, Chapman University and for WorldatWork (formerly American Compensation Association). She is considered a dynamic speaker and has spoken at the national conventions of many large associations. Ms. Ding is designated as a certified compensation professional by WorldatWork and is a founder and director of the Orange County Forensic Consultants Association. Ms. Ding is a past President of the Association of Professional Consultants.